We can supply an LED light with probably 0.5 W and 10 lm from the heat of a candle, isn’t it great? If we stay at IKEA we can buy these candles, 24 with a burning time of 4 hours for €0,99. These together could light our LED light for a full 4×24 hours = 96 hours. 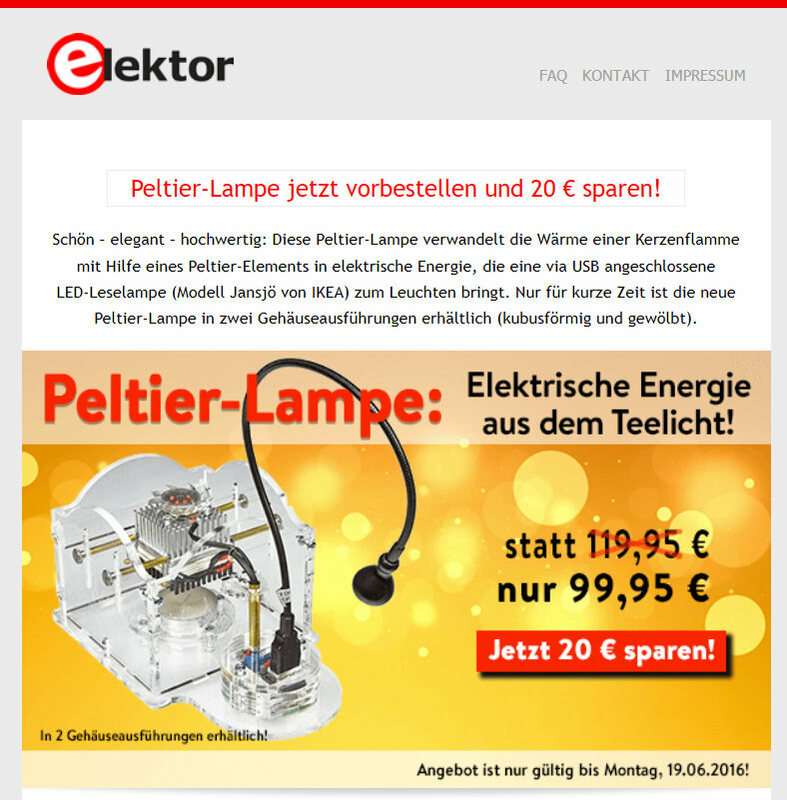 Thus we get a total of 96 h x 0.5 W = 48 Wh or 0.048 kWh for €0,99. 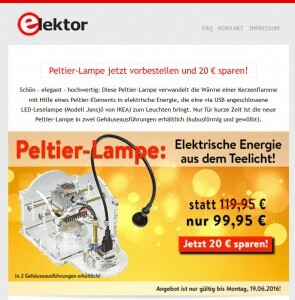 This corresponds to €20 per kWh, about 100x more expansive than electricity from the wall outlet (in Germany) – ignoring the downpayment on the gadget itself.